Hi and a happy Wednesday to you! I hope your week is progressing nicely 🙂 Today I’m sharing my third and fourth Altenew cards, this time using the free stamp and die set that I received with my latest copy of Simply Cards and Papercraft. Please note, that some – and not all subscribers got this gift this month, it should have been next months gift but I was glad that I got it early! 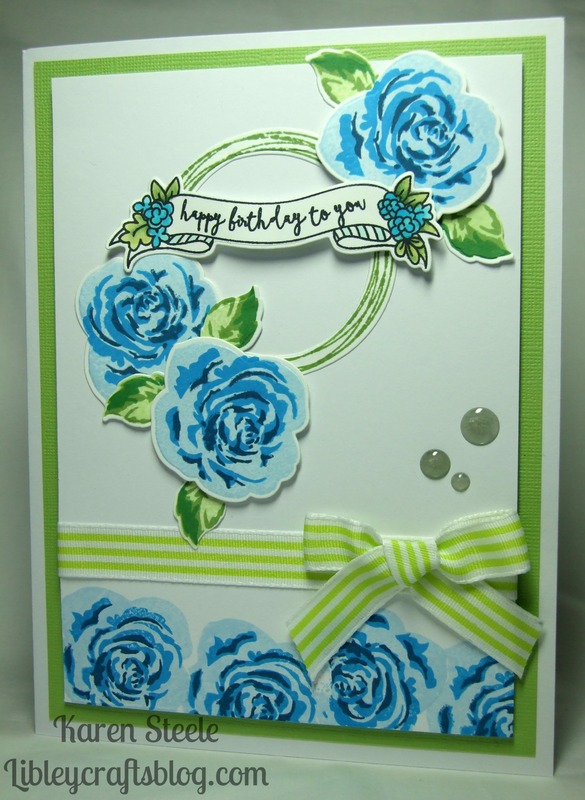 For the card above I also used Avery Elle’s Banner and Wreath stamps and dies, ribbon, Papermania Dew Drops, Coredinations cardstock and Memento ink pads (Summer Sky, Nautical Blue, Bahama Blue, Tuxedo Black, New Sprout, Bamboo Leaf and Cottage Ivy). The flowers on the banner were coloured with Spectrum Noirs. My second card was again made using the freebies along with papers and cardstock from Craftwork Cards ‘Seaside Summer Collection’. The inks used here were Memento – Tuxedo Black, Angel Pink, Rose Bud, New Sprout and Bamboo Leaf. The sentiment is also a Craftwork Cards stamp. 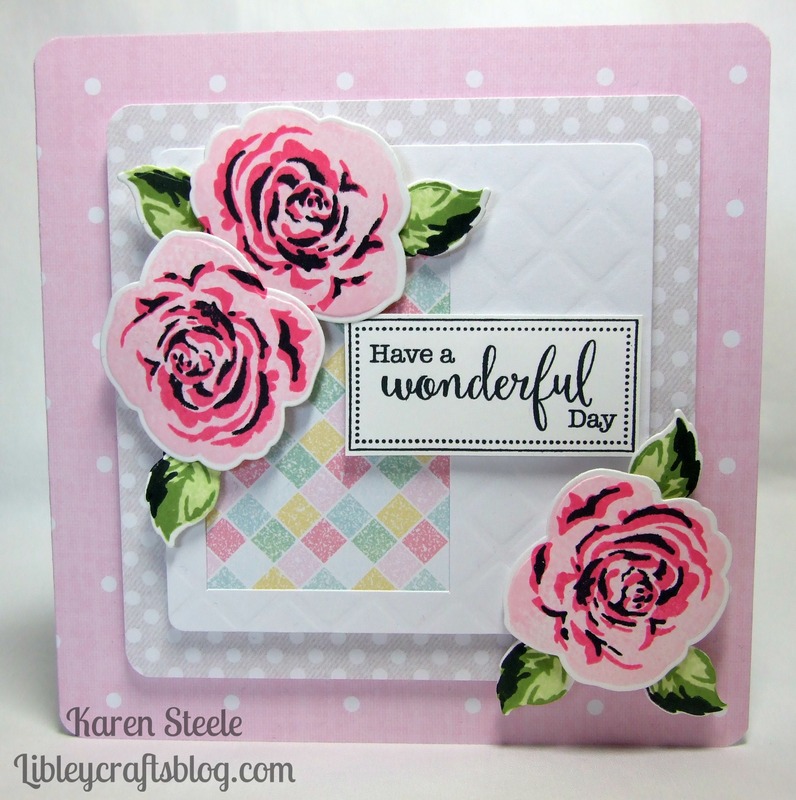 I am really pleased with this stamp and die – even better when you think that it was free! I have a feeling that I will be using this a lot! Another hit!! Great card – Beautiful! Those flowers are just gorgeous on your lovely cards! Gosh! These look amazing! I have to get the issue of this magazine, this is a wonderful freebie and you’ve shown that this stamp set had endless possibilities. Great job!